On Sunday June 15, an attack by militants from Somalia’s al-Shabab group on hotels and a police station in the town of Mpeketoni, on the coast of Kenya, left dozens of people dead. Such incidents have mounted steadily since the attack on Westgate Mall in September 2013, so have counter-terrorism measures such as vehicle searches and mass arrests, notably those which led to hundreds of Somalis from Nairobi’s Eastleigh suburb being held for days in Kasarani Stadium in April. In light of this, I sought to find the views of Kenyans on the appropriate way to handle terror attacks, and found that many feel harassing Somalis in the war against terror will not counter terrorism, but instead worsen the situation. Eastleigh residents have warned that targeting and harassing Somalis in the war against terror will not counter terrorism but instead worsen the situation. Ismail Abdi, a resident of Eastleigh, said that “if you need information from a person, you don’t hurt that person but rather befriend the person”, cautioning that if there is discrimination because you are a Muslim then Kenya will not overcome terrorism. Abdi referenced incidents during the Operation Usalama Watch where pregnant women allegedly had to give birth at Kasarani Stadium after the mass arrest of Somalis, saying this showed a lack of compassion on the part of the government. “The Kenyan government should not act inhuman[ely], the refugees should go back home smiling. The government should have a legitimate platform for repatriating refugees peacefully, because you don’t want to create enmity among an entire people living in this region,” he added. 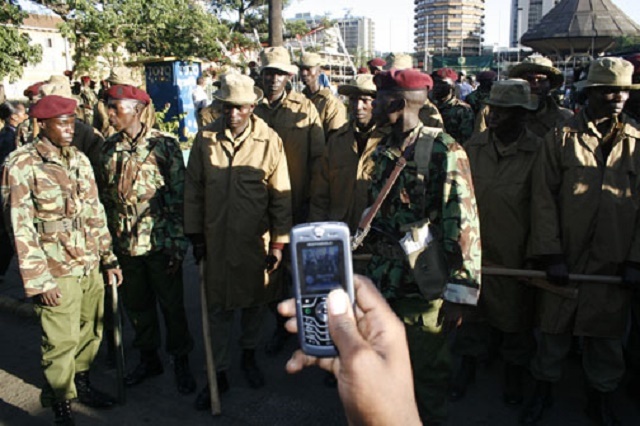 On his part, Kennedy Isigi, Chairman Nairobi sub-county Peace Committee, questioned the strategy the Kenyan government used in the operation, criticising it for trying to deal with security and illegal immigrants at the same time. “They could have separated these two operations, to deal with security issues separately and deal with illegal immigrants and aliens separately. Mixing the two made illegal immigrants feel they are the criminals themselves which was not the case,” Isigi said. He warned that harassing native Kenyans who have genuine documentation proving their right to be in Kenya will lead to more terrorism activities. “I would not say that illegal immigrants are innocent, a few of them are not good. As much as we deal with foreigners, we should also be careful about our own internal problem; our own youths are also getting into criminal activities,” he added. However, Sufiyaan Ahmed, a Somali citizen, believes Somalia is indebted to Kenya and the ongoing operation will not affect the relationship between the two countries. “Kenya has been the country where, for the past 24 years or so, we used to negotiate to talk to each other. Kenya has been there for our refugees and now hosts the largest number of Somali refugees outside Somali country,” he said. Ahmed added that “soon or later the operation will be forgotten” and he believed that any Somali citizen who is willing to understand knows that Kenya has a right to keep its citizens secure. “As a Somali citizen, I can say this will not affect our relationship, the Somali government is now improving, Somali citizens are going back to their country and there will be time, we hope, very soon that Somali citizens will not loiter in Kenya. In any migration there is a push-pull factor and when the push factor is no longer there in Somalia, Somali citizens will stay and invest in their own country,” he explained. Radar Reports is a feature series written by Radar reporters. Radar is an organisation that trains and mentors citizen journalists from some of the most marginalised communities around the world. Musa Haron is a reform and advocacy reporter working in Kenya. The main motivation in his work is to be the voice of the voiceless.